This morning Leviticus was saying hello to his friends. I call to see if both my car parts are in. I was very disappointed to hear that only one came in. They said they would order it again. I started getting ready to go to the indoor garage sale. Before I was ready to leave they called back to let me know they found the other part. Off to the trash dump, indoor garage sale and then Livingston. Was hoping for snow gear at the garage sale. More books, movies, dishes, clothes and kids stuff. I did score two boxes of Girl Scout cookies. I also got a super soft Winnie the Pooh towel for the cats to sit on. Off to Livingston. Hit Taco Bell on the way into town. Found a UPS store so I was able to send my Amazon return. Have to get a few more tools so Ace hear I come. 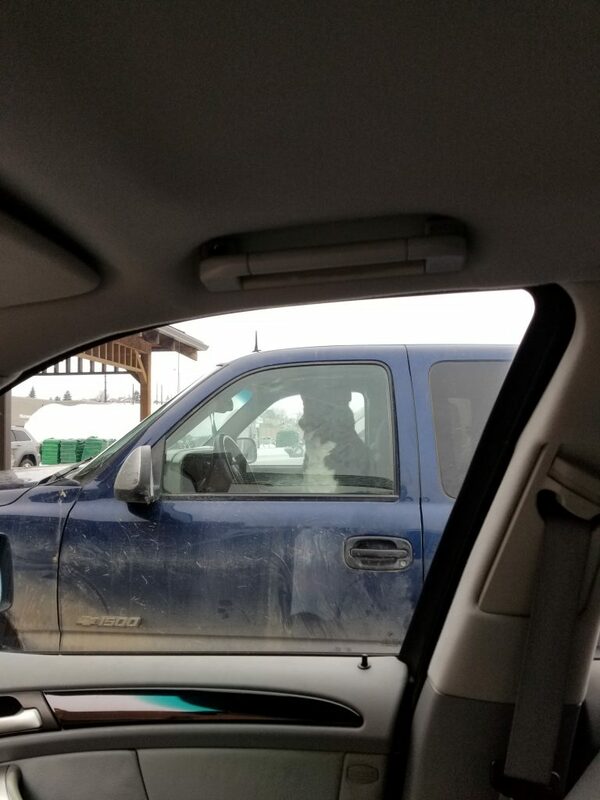 Side note even the dogs drive trucks in Montana. On to O’Reilly Auto Parts. I get my parts. While in the parking lot I check all the fuses and do some more research on the central locking system. Can’t figure out why it doesn’t work so I move on. I go over to Napa to see if they have anything that I can drive the car up on so I can work underneath. After a search by me and the salesperson we find some. Homeward bound to do some car work. Good view of the mountains on the way back. 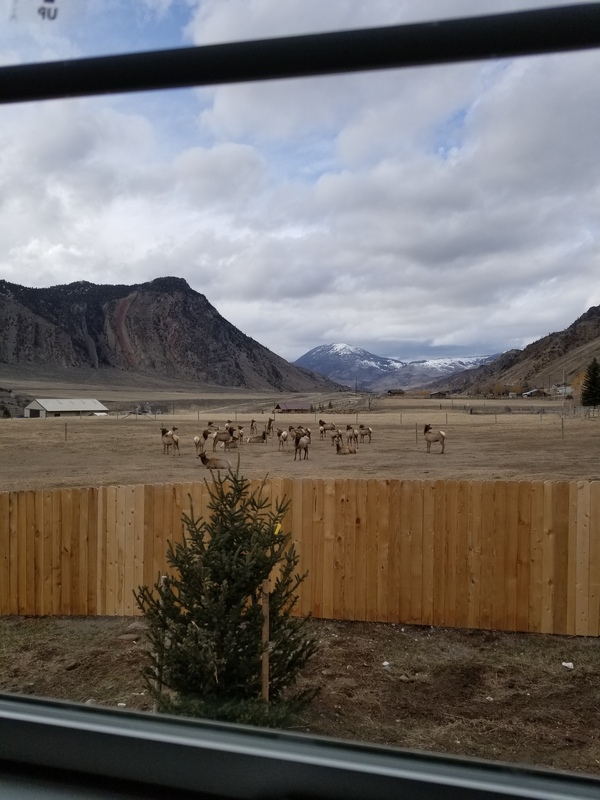 The elk are out in force at the house. So before I use the ramp, which I am not so sure about on uneven ground I try to get under the car to find the O2 sensor. I am able to squeeze under the car without the ramps. Good thing I am not claustrophobic. It is tight under the car. I get the tools and start working on getting the O2 sensor out. It will not budge. I try to use my left hand, I try by right hand and I get a hammer to tap the wrench. Nothing works. Finally I get the tire iron and use the nut open to hook the wrench and I use all my worth to get it to turn loose. It takes forever with little turns to get it out. Once out I come to the great conclusion that I took out the wrong one. Very disappointed that I missed this. While I have it out I clean it some and put it back in. I do some more research and find that it is one under the hood. Turns out the car has four in all. I go from being under the car to being under the hood. This one is hard to get out as well, but not as bad as the one under the car. I get the new one in. I start the car to test it out. Not sure that I can really tell any difference. On to the second part. After much more research I find that I am in over my head for the second part. It would require taking half of the engine out. I think I need more than a video to do something that complex, so I call it quits for the day. While eating dinner and listening to a book on tape a storm rolls in. If it had been Georgia I would have been bracing for a tornado, but they don’t really get those here. It was so bad that it knocked down about 8 power lines outside of town. That killed power for all of Gardiner and all of Yellowstone Park for a little over three hours. 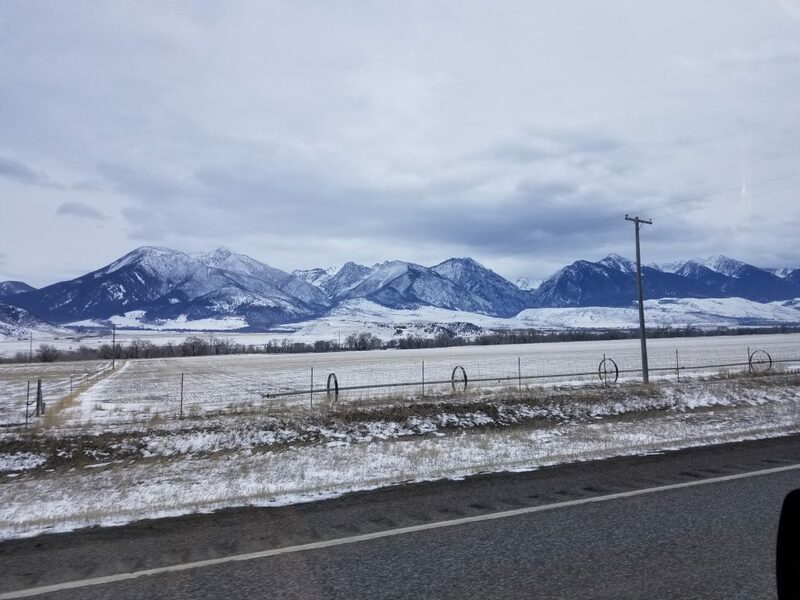 During this time I was full off-grid. I didn’t even have running water because the well needs power to pump. For awhile I watched a buck elk play with a branch by picking it up and throwing it with his antlers. Got a little chilly in the house. It was about 10:30 when the power came back on. Added bonus for me was that I had clothes in the washer when the power went off so I had to finish doing laundry before I could go to bed. By the time I was laying down the storm had moved from a rainstorm to a snowstorm.